Bicycle accident deaths are on the rise, and California currently leads the country in deaths, according to a recent article in the LA Times. The Governors Highway Safety Association (GHSA) recently released a report examining bicycle accident injuries and deaths throughout the fifty states. 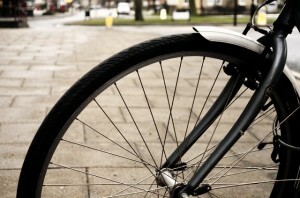 The report found that between 2010 and 2012, the rate of fatal injury in bicycle crashes increased by 16 percent. California lost 338 bicyclists between 2010 and 2012, and Florida lost 329 – the two highest totals among the U.S. states. California and Florida also had the highest increases in the number of bicyclists killed each year during the study period. In Florida, the number rose from 37 in 2010 to 120 in 2012. In California, the number increased from 23 in 2010 to 123 in 2012. While the rate of car accidents that caused death also rose during this period, it rose much more slowly. Bicycle accidents nationwide climbed 16 percent compared to a 1 percent increase in car accident deaths that did not involve bicycles. Nationwide, bicyclist deaths make up 2 percent of all deaths on roadways – but in California, they account for 4 percent of those killed on our roads. Researchers reported that decreasing helmet use might play a role in the increase in deaths. In 2012, at least 66 percent of those who were killed in bike crashes were not wearing a helmet at the time. Drunk driving and distracted driving also caused a significant number of bicycle crash deaths. Attorney Joseph L. Low IV fights to protect the legal rights of bicyclists who are injured by the negligence of others and to secure the full amount of compensation to which they are entitled. If you’ve been injured in a crash, contact our office today to learn more about your legal options.